Is the US govt decision not to cite China as a currency manipulator wise or wacky? Well, as expected the US Treasury declined to name China as a currency manipulator in a regular report submitted to Congress yesterday. 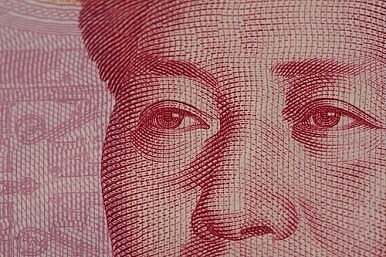 The report is issued every six months, and there has been growing pressure among Congressmen concerned (and those needing to appear concerned ahead of mid-term elections) about the possible impact China’s undervalued currency is having on the US economy by giving Chinese firms a supposedly unfair advantage. The consensus appears to be that the yuan or renminbi really is undervalued, though estimates as to how much vary widely, with some arguing that it could be anywhere up to 40 percent. Under growing international pressure—and not just from the United States—China agreed late last month to allow its currency to trade more freely, but this hasn’t been enough to quell criticism among US lawmakers, many of whom argue that the move is too little too late. But it’s not just the politicians who are perplexed by the Treasury’s decision. Speaking with Bloomberg, Donald Straszheim, senior managing director for China research at International Strategy and Investment Group, called the decision ‘wacky’, questioning the logic of Washington ‘raising the bar on its own behaviour’ by effectively stating that China is innocent of currency manipulation through the first half of this year. US House Ways and Means Committee Chairman Sander M. Levin, a Democrat, believes the US should explore the option of suing China at the World Trade Organization. The suggestion comes following the introduction of bi-partisan legislation that would, if passed, force the Treasury to take action over China’s currency. However, the ‘wackiness’ of the Treasury’s decision aside, Straszheim doesn’t believe filing a case with the WTO over the issue is the right way forward, arguing that such a move would ultimately harm global growth by encouraging protectionism. The best of China this week. Has Xi’s anti-graft campaign landed a “tiger?” Lao She’s art collection auctioned off. Yuan the Next Reserve Currency?The Doolittle Raiders and Chinese Revisionist HistoryFoxconn CEO Terry Gou Says a Sea Goddess Has Told Him to Run for PresidentWill Xi Jinping Visit North Korea This Year?Is Europe Finally Rising to the China Challenge?